When you find that your formerly lush backyard is becoming less than lush these days, or the upkeep is just too much, perhaps a patio is in order. The good news is that a professional looking stone patio is a home remodeling project within the grasp of even the least talented DIY enthusiast. With the wide variety of available stone pavers, small and large, and an abundance of "how-to" videos online, there is little reason why most any homeowner can't opt for a new patio. And for a dash of variety a small structure or length of wall can greatly enhance the overall look of your project. While each patio will be different - and half the fun is in the design process - almost every patio building project has the same foundation. Here is a high-level overview of what might required for just about any patio building project. After you have settled on a design for your new patio you will need to buy your materials and have them delivered. Depending on the size of your finished project, you may want to have the materials delivered in stages so that you don't have stacks of paver stones blocking your driveway. You will want to show the outline, or perimeter, of the patio area with marking paint. Once this is done you can place wooden stakes just outside of the perimeter and attach a mason line. This will be adjusted to guide the gradual slope of your pavers away from the house. This is important for draining water in the right direction. A good slope will have a drop-off of about 1 inch every 8 feet. You will be dumping 4 inches of paver base and about 1 inch of paver sand into your dug out area before adding the paver stones. This means digging out an area approximately 7 inches deep. Now's the time to use the mason line you set up. Check the depth of your excavation against the mason line with a measuring tape. You will do this at numerous points to make sure you have the right depth and slope. A special gravel called "Paver base" is used first. Paver base is a form of aggregate used in the construction of patios and walkways. Once it has filled your excavated area and been spread evenly, you will need to compact the area until you have a firm base. It's a good practice to then lightly wet the paver base to make it more solid. While most any sand could probably be used, special fine-grained sand is preferred for pavers. The sand acts as a cushion for the pavers and is used at the end of construction to fill the paver joints. This binds the stones together and helps prevent the growth of weeds. Most paver stone have "joints" - slight indentations that mate with ridges in each block. This allows for easy assembly and stronger fit and positioning. Start with a corner close to the house and work in an outward manner. Place them straight down into the sand, one at a time, and fit them snuggly together. Avoid dragging the pavers across the sand. You may find that as you get to the outermost edges of your patio, the remaining pavers will be too large to fit properly. Or if you have angles, circular border areas, etc. some stones will have to be cut. Renting a masonry saw is a good option for a clean cut, but a masonry blade installed on a standard circular saw can do the trick. Always wear gloves and eye protection when cutting pavers. Something is needed to provide a solid edge to contain you paver stones. Edging stones are a great option. Again, as you run up against unusual corners, borders or shapes, your edging stones may need to be cut, as well. 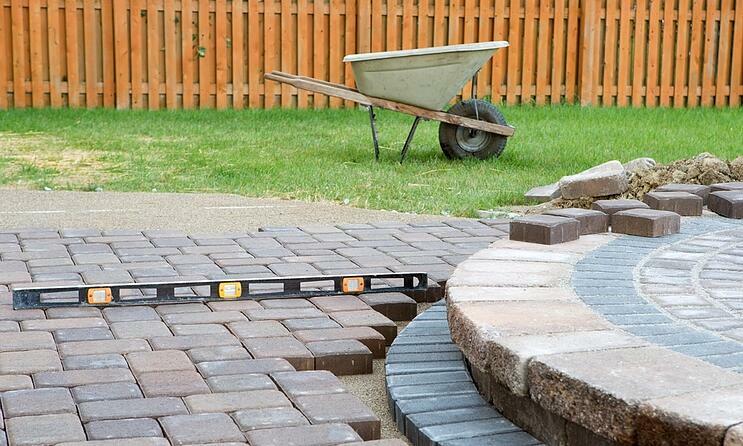 Your choice for edging material is not limited to the same stones you used for the pavers, either. Be creative. After everything has been positioned and cleaned off, stakes and mason lines removed, and tools put away, it's time for the finishing touches. Throw or scatter paving sand across the surface of your newly laid patio so that the entire surface is covered. Using a push broom, sweep the sand into the gaps between the stones and then run a plate compactor across the patio surface. Repeat. And now you have a beautiful new stone patio to enjoy for years with little maintenance. And, with the right materials and well-laid foundation, you can install a paver patio in about a day. Yard waste can come in many forms. Did you have a few year's worth of old cuttings or other debris spread across your yard? Have you recently started (or completed!) a gardening or landscaping project that’s left dirt and debris everywhere? 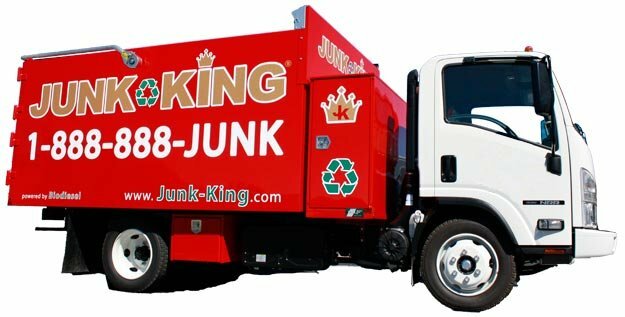 Or do you simply have a bunch of junk and clutter in your yard that you haven’t had time to clean up?